Serum Foundations are lightweight medium-coverage formulations available in a comprehensive shade range across 21 shades. These foundations offer moderate coverage that looks natural with a very lightweight serum feel. They are very low in viscosity and are dispensed with the supplied pump or with the optional glass dropper available for purchase separately if preferred. The pigments used in this format are treated for a rich, highly-saturated effect. These pigments are suspended in our proprietary spreadability system that allows pigments to look natural on the skin, resist collecting within fine lines and stay on for longer. The foundations offer a semi-matte finish and are compatible with most primers and are designed to work exceptionally well with the primers offering from The Ordinary. Serum Foundations sold in the European Union offer an SPF 15 claim. This protection is achieved without the use of chemical sunscreens and only through physical protection from Titanium Dioxide. Additionally, no nano-particles are used to achieve this sun protection. These attributes are unique in foundations because it is exceptionally difficult to create a natural, lightweight look and consistent shades when using only non-nano forms of Titanium Dioxide for sun protection without any chemical sunscreen agents. Please note that the formulations are and will be the same in all markets but the packaging will claim SPF 15 only in the European Union while regulatory processes for claiming SPF in other markets are carried out individually. Each foundation format is available in 21 shades. The shades are divided into three categories: 1 for fair to lighter tones, 2 for medium tones; and 3 for darker tones. Each category is then classified further by a second digit from 0 to 3 to indicate depth within each category. Finally, a letter is added to the shade code to identify the undertone: P (Pink) and R (Red) indicate cool undertones for lighter and darker shades respectively; N indicates a Neutral tone; Y indicates a Yellow undertone. Each shade code has a descriptive name as well. For example, 1.2P is Light with Pink Undertones while 3.0Y is Medium Dark with Yellow Undertones. For a complete shade guide, please click here. Three of the shades have an additional letter at the end: S indicates Silver highlights and G indicates Gold highlights; these shades use natural-looking and exceptionally fine dispersions of metallic effect pigments for added highlight. The Ordinary will introduce individual enhancers and highlighters in the near future to customize all shades. The full shade range is available to explore on each product page and also as a summary on our Foundation Shade Guide page. 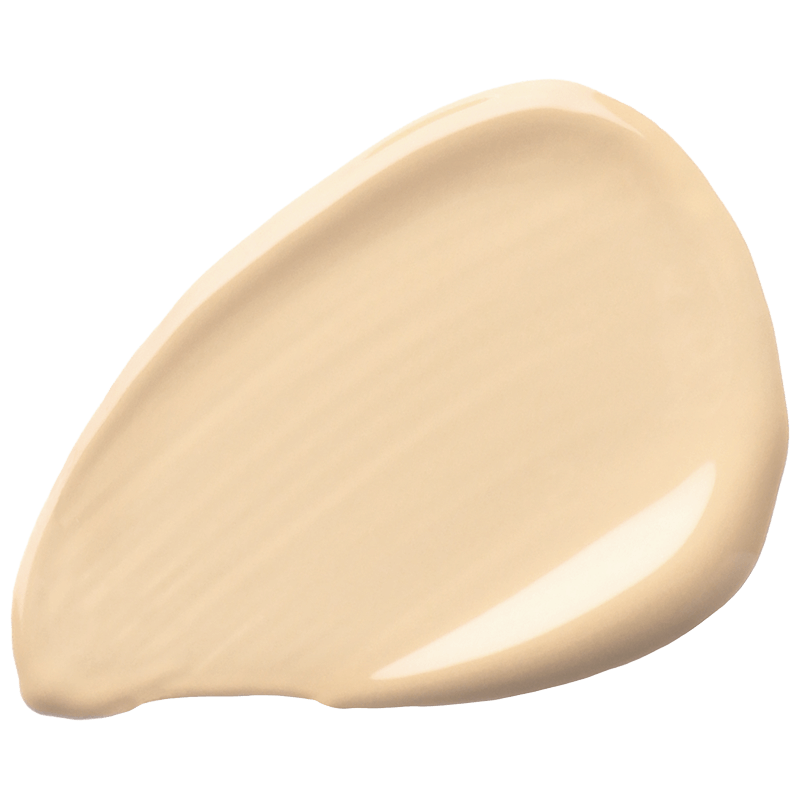 The unique suspension system used in the formulations allows shades to look so natural on skin that three shades or more will suit most skin tones. The shades can also be mixed at the time of application if desired. As with most liquid forms of foundation, it's ideal to shake the container lightly before use. Shake before use. Dispense a small amount into the palm or the back of your hand. Smooth on and blend throughout the face, ideally outward from the midpoint of the face. If irritation occurs, cease use and consult a physician. Use only as directed on unbroken skin. Patch testing prior to use is advised. Refer to our in-depth guide to patch testing. Keep out of reach of children. Cyclopentasiloxane, Aqua (Water), Caprylyl Methicone, Coconut Alkanes, Methyl Methacrylate Crosspolymer, Trimethylsiloxysilicate, PEG-9 Polydimethylsiloxyethyl Dimethicone, Coco Caprylate/Caprate, Dimethicone/PEG-10/15 Crosspolymer, Cetyl Diglyceryl Tris(Trimethylsiloxy)silylethyl Dimethicone, Dipropylene Glycol, Tocopherol, Polyglyceryl-3 Diisostearate, Polyglyceryl-3 Polyricinoleate, Polyglyceryl-4 Isostearate, Disteardimonium Hectorite, Hectorite, Sodium Chloride, Hexyl Laurate, Dimethicone/Vinyl Dimethicone Crosspolymer, PEG-10 Dimethicone, Stearic Acid, Alumina, Trisodium Ethylenediamine Disuccinate, Phenoxyethanol, Chlorphenesin. May Contain [+/-]: Titanium Dioxide (CI 77891), Iron Oxides (CI 77491, CI 77492, CI 77499), Tin Oxide, Aluminum Hydroxide, Bismuth Oxychloride (CI 77163), Mica, Triethoxycaprylylsilane. We've prepared a colour swatch to help with your selection.